We seek to be imitators of Christ, in all our lives and work; to love one another in the same way that God loves us, to be united in our love for God and one another. As Paul writes, in his epistles, we are to be the Body of Christ, part of him, interdependent on each other, ultimately one. Just as we hope to show Christ in our actions and in our daily stories – so also can we see ourselves and our struggles in Christ’s story. In his actions all those years ago he dealt with everything that has happened ever since, every action that has been taken, every sin that has been committed. 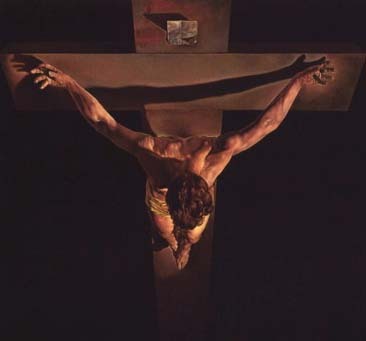 When he died on the cross he paid for all those sins, and when he rose again he conquered the death that we all are due. He suffered – and in that suffering came alongside us in our suffering, so that when we suffer, we can know that he understands, that he has been there, and that all suffering will one day cease, because the promise and the hope of Easter Sunday is that he has overcome for us, and we shall be free from the pain of the world. I write this, because I think that we who have mental health conditions can forget that we are in the image of God, we are part of the Body and we are one with God, as Christ prayed. Our sufferings are his sufferings – in the depths of my despair, when all else is lost, the only thing left for me was the faint, wavering hope in the God who suffered too. I believed, and believe, that God lives in our sufferings, that he is present in our pain, and that he has paid the ultimate price to rid the world of pain and suffering, even if that final episode foretold by the Bible has yet to happen. “The SS seemed more preoccupied, more disturbed than usual. To hang a young boy in front of thousands of spectators was no light matter…’Where is God? Where is He?’ someone from behind me asked…For more than half an hour [the boy] stayed there, struggling between life and death, dying in slow agony under our eyes. And we had to look him full in the face. He was still alive when I passed in front of him. His tongue was still red, his eyes were not yet glazed. But I am not made of plaster, God says, nor of stone nor of bronze. I am living flesh, throbbing, suffering. I am among men, and they have not recognised me. I am poorly paid, I am unemployed, I live in a slum, I have tuberculosis, I sleep under bridges, I am in prison, I am oppressed, I am patronised. And yet I said to them: “Whatever you do to my brothers, however humble, you do to me”…That’s clear. The worst is that they know it, but that they don’t take it seriously. They have broken my heart, God says, and I have waited for someone to have pity on me, but no one has. I cry out in the night and die in the solitude of battle. O world of strife, immense cross on which, every day, men stretch me. Wasn’t the wood of Golgotha enough? I haven’t put this as well as I would like, but what I am trying to say is that even when it feels like we are useless, like the pain that is inside our heads makes us of no use to God or man, when we wonder how we can be Christ-like, a proper Christian when our world is one of depression, fear and doubt, when we wonder that – I would like to say that I think we are closer to God than we know. God with us, God is present in our pain, and it brings me comfort that our God is not entirely some high and tremendous being, not just the Creator, not just the all-powerful – but that he became a man, and suffered as a man. So he knows what it is to be human, in all the awful, evil things we do to one another and in all the tragedy that some random throw of a dice assigns illness to individuals. We are like Christ – we are one in his suffering. May we also be one in his love, and in his victory. * That said, I wouldn’t say Christianity is not a religion, by any means. It is both a religion and a relationship, and I find this sort of slogan rather annoying. But it is useful as a writing hook! Elie Wiesel, Night. Trans. Stella Rodway, in “Night; Dawn; The Accident” London:Robson Books Ltd, 1987. pp71-2.